Municipality of Nedelino covers an area of 102.3 sq.km. The average altitude is 400-500 m. The municipal center - the town of Nedelino was founded in 1607. The municipality has common borders with the municipalities of Zlatograd, Kirkovo, Kardzhali and the Republic of Greece. The relief is hilly-mountainous. The climate is transient-continental and mountainous at high altitude. The area is clean and favourable for recreation and tourism. There are natural sites like "Shadiitza", "St. Nedelya", "St. Ilia", etc. The Forest Fund occupies an area of 72,795 decares, of which 19,741 are covered with broad-leaved trees and 44,642 with coniferous trees. 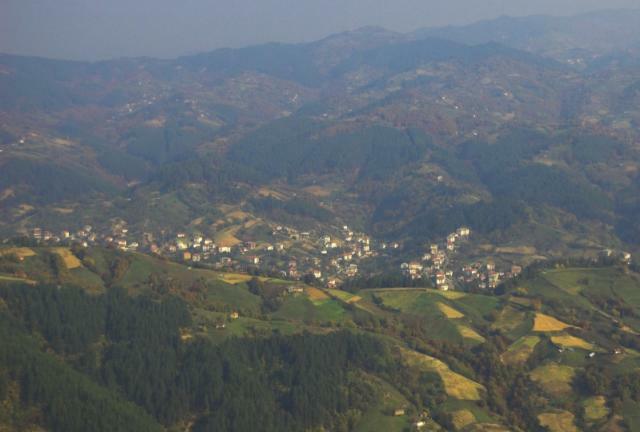 Population in municiaplity of Nedelino is around 9000 citizens - most of them (5,280 citizens) live in the town of Nedelino and other (around 3,670) live in villages. The municipality comprises its center - the town of Nedelino and 14 settlements: Village of Burevo, Village of Dimanovo, Village of Dunya, Village of Elenka, Village of Gurnati, Village of Izgrev, Village of Kochani, Village of Kozarka, Village of Krayna, Village of Kundevo, Village of Ogradna, Village of Sredets, Village of Tunka bara, Village of Vurli dol, Village of Vurlino.